Nike's Air Max sneaker has been a staple of the brand's lineup for decades now. It is one of the brand's highest sellers and every year they come out with a brand new silhouette. This year, it's the all-new Air Max 720 that Nike is pushing to the masses. They recently came out with the inaugural "Aurora Borealis" colorway and since then they've been teasing a plethora of new colorways for all of the fans out there to enjoy. This time around, the brand is showing off a colorway that we've pretty well seen on almost every single shoe ever, "Triple Black." An all-black shoe is a staple in pretty well ever sneakerheads closet so it only makes sense that Nike would bring this style to the new shoe. In terms of describing the shoe, there isn't much else to say except just how stealthy and sleek these look. Just like the Air Max 720 is known for, the air bubble unit wraps all the way around the shoe with some pretty funky tooling on the upper. 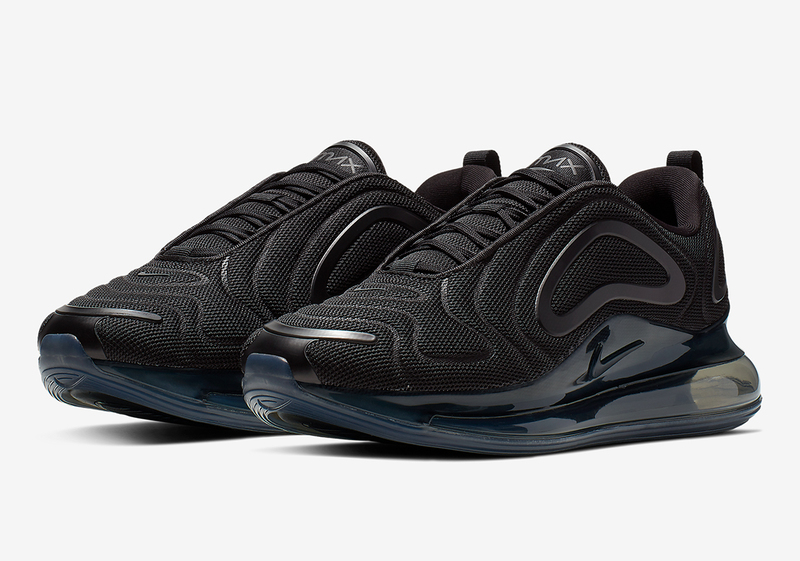 If you're looking for an entry point into the Air Max 720, this all-black colorway could very well be for you. As of right now, there is no release date but we do know that these will cost $180, according to Sneaker News.